Continuing from my previous post, I am using the excellent HTML & CSS Validating Parser. Since the HTML is generated by code I wrote in the first place, I know that my content is in the DIV of class 'clearfix', and every HTML file has just one such DIV. (ea classes select: [ :c | c = 'clearfix' ]) size > 0 ]. Having extracted the content fragment, it is now a matter of writing the fragment out through an iPhone-specific HTML template. 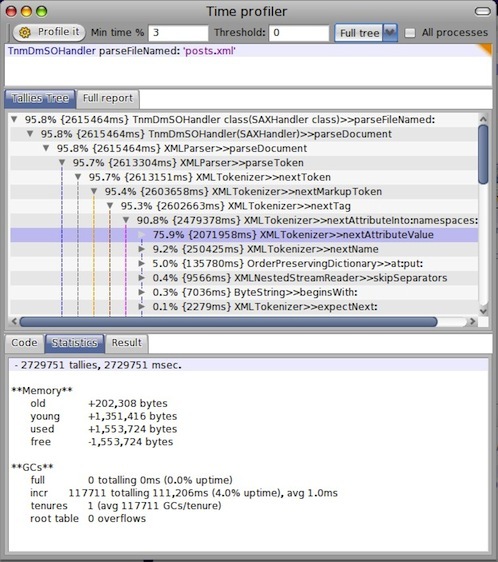 In terms of Smalltalk programming, the parsing and searching code is actually "discovered" iteratively by browsing code in the code browser, and running code on live objects using the object explorer, as shown by the screenshots below. These provide a very good illustration of the power of Smalltalk's integrated environment. 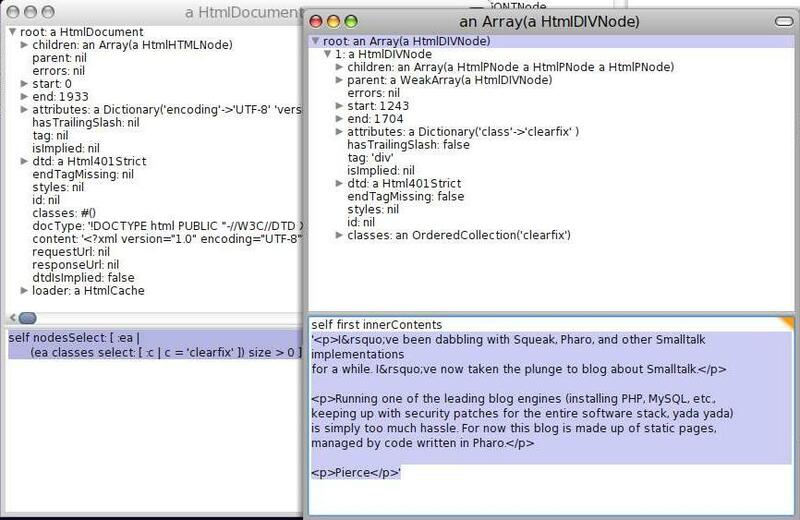 Figure 1: Parse an HTML file and explore the resultant Smalltalk object. This results in the object explorer in figure 2. 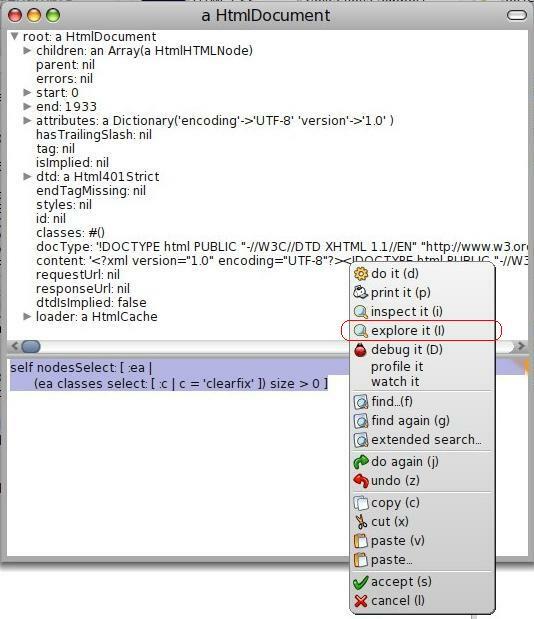 Figure 2: In this object explorer, "explore" the result of running the code shown in its workspace pane. Here "self" refers to the HtmlDocument instance. This brings up another object explorer shown in figure 3. Figure 3: The object explorer on the right shows the array returned by the "self nodesSelect: ..." code executed in the object explorer on the left. This time we "print" the output of "self first innerContents" in its workspace pane; here "self" refers to the array.